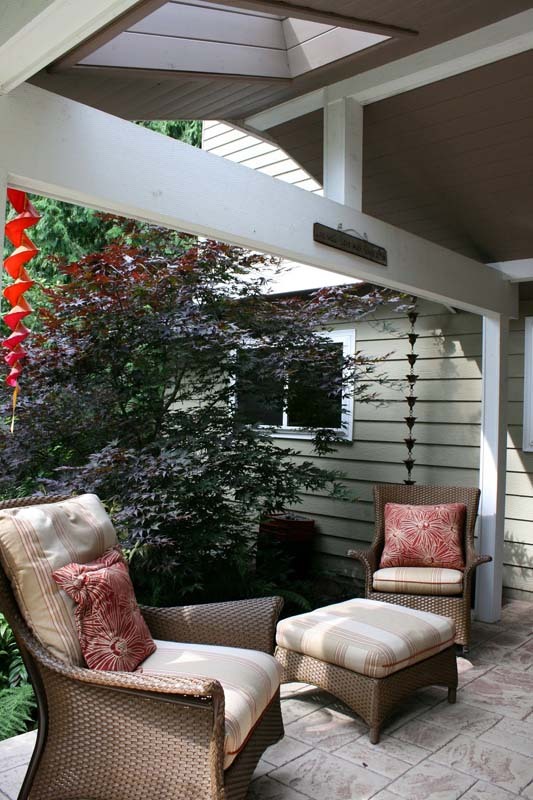 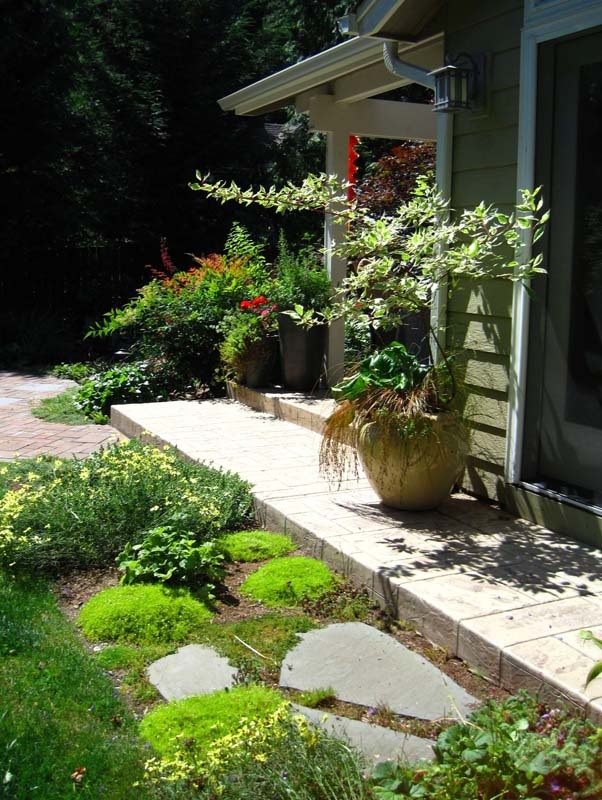 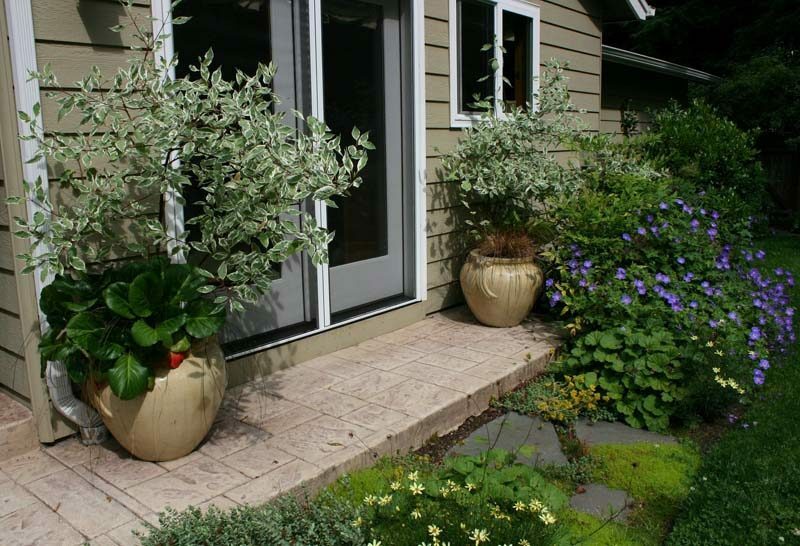 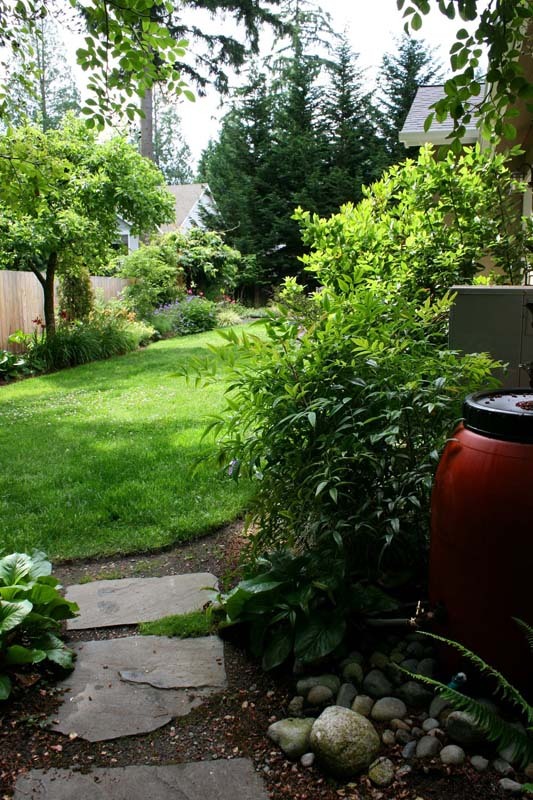 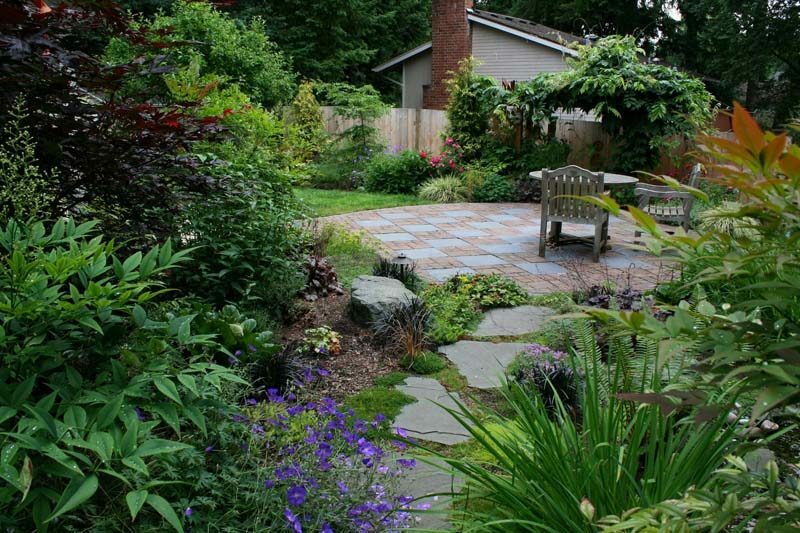 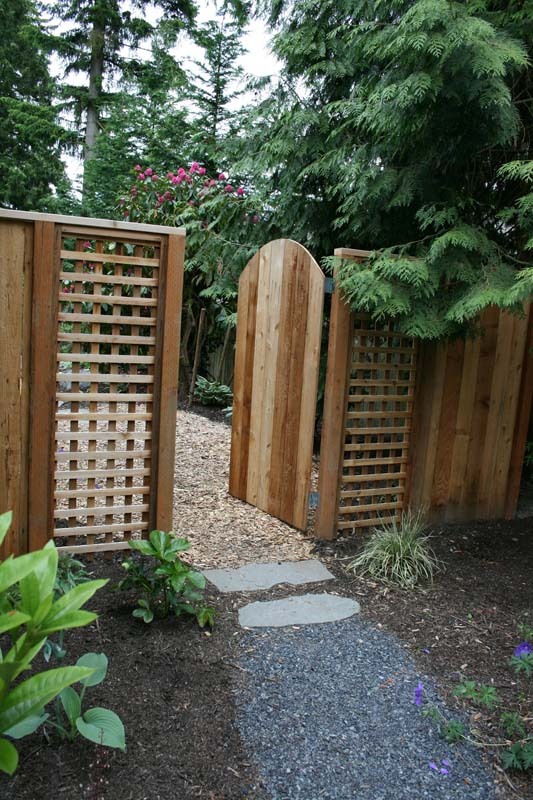 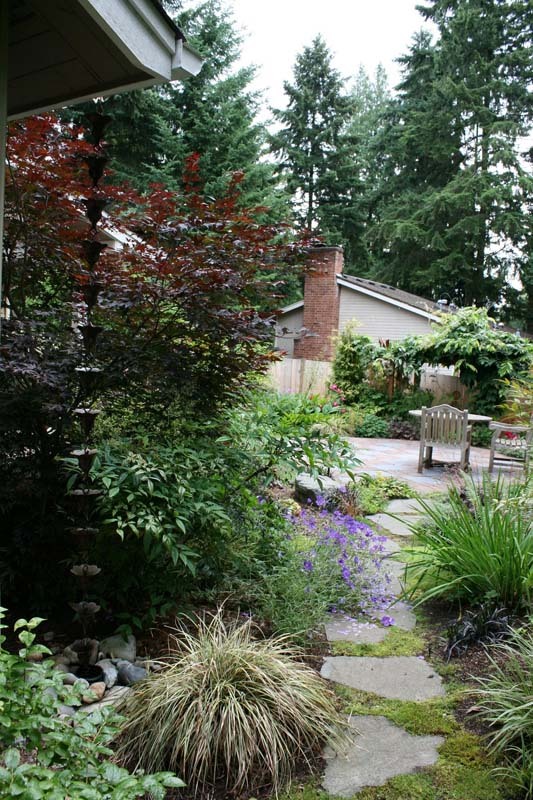 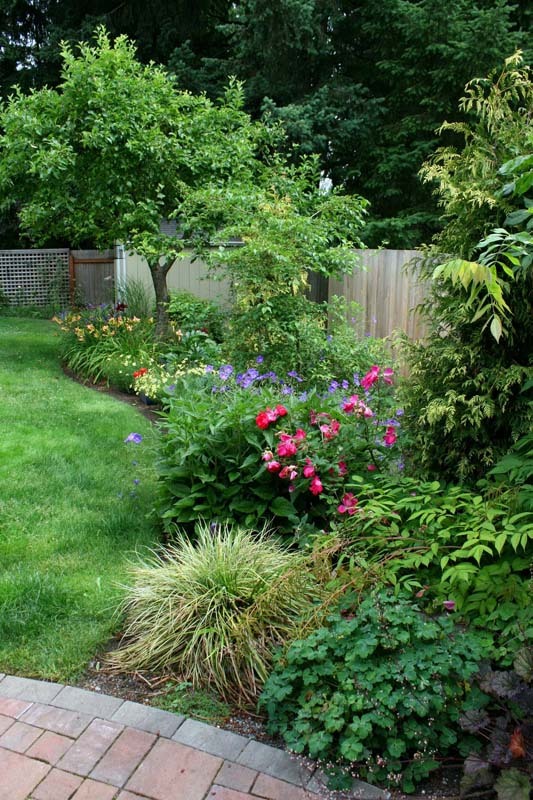 This home in Kirkland had recently undergone a remodel and the landscape needed renovation. 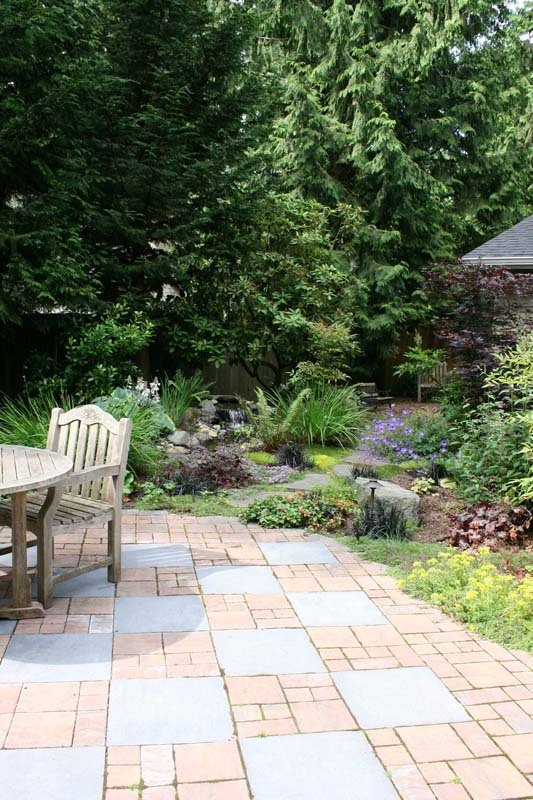 The family loves to play chess together so a large chess board was incorporated into their patio. 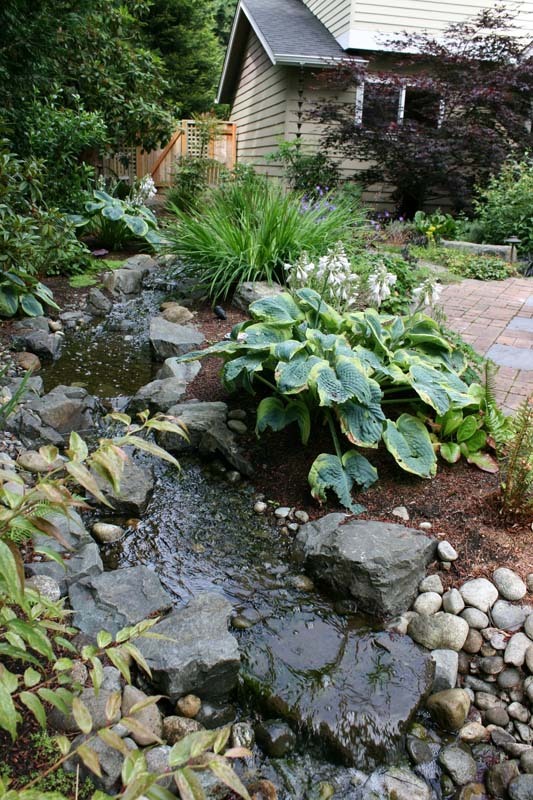 Other features of their garden include a pondless steam, water catchment system, and colorful plantings with year round interest.